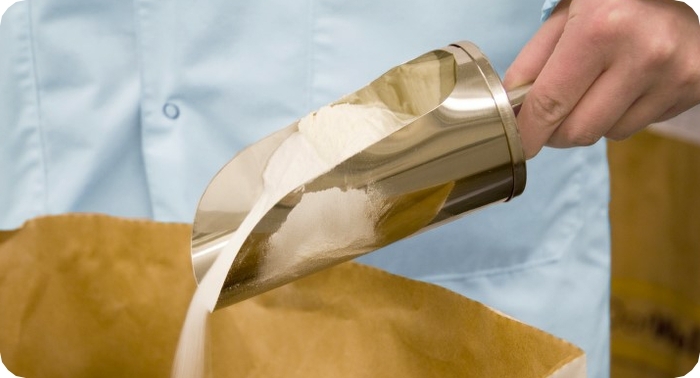 Production starts with accurate mixing and blending of ingredients to ensure accurate preparations. Problems occur when variable and incorrect humidity levels interfere with the delicate balance. To guarantee accurate dosing and consistency, the weighing, mixing and blending should be under controlled climate conditions. Perfect conditions are created by our desiccant dehumidification of the mixing, weighing and blending production premises or by adding the dry air directly into the process. Low humidity can be easily obtained with a desiccant dehumidification system. At low dewpoints desiccant dehumidification is superior to mechanical cooling, with tighter control and less energy consumption. Product quality remains high and intact with reduced need for cleaning and less waste.